How much is bottle service on a Sunday night at Nightingale LA? VIP table in Lounge area next to bar $1500, 10 comps. Main Room table $2000, 12 comps. Main Room with prime location $2500, 15 comps. Dance Floor table $3000, 15 comps. Larger table with prime location on dance floor $3500, 15 comps. DJ / stage table $4000, 15 comps. Greystone Sundays | Nightingale Plaza. From the kinetic ceiling covered in revolving mirrored panels to LED walls. Bottle service & pretty people found at this trendy LA night spot with luxe decor. Now it’s Sunday, and you’re asking yourself, “What are the best clubs in LA on a Sunday?” If you’re thinking Sunday is going to be a pretty weak night; think again. Welcome to Nightingale Plaza | Greystone Sundays. Join the biggest names in rap music for the best way to pretend your weekend isn’t over; Greystone Sundays at Nightingale Plaza. Hear all your favorite hip hop music as you dance your Sunday night away. The interior is designed to impress: feast your eyes on towering vaulted ceilings, two elegant bars that seem to stretch into infinity plus multiple lounge areas swaddled in vintage leather with plush velvet seating. Great decor and a line that wraps around the block has got this place climbing up the best night clubs in LA list very quickly. It’s only a matter of time before Nightingale gains mention in a Hip Hop song like Drake did for its predecessor; Greystone Manor. 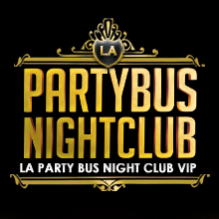 So if you want to get in; then be prepared to reserve a table with bottle service at +1 (310) 749-9029.